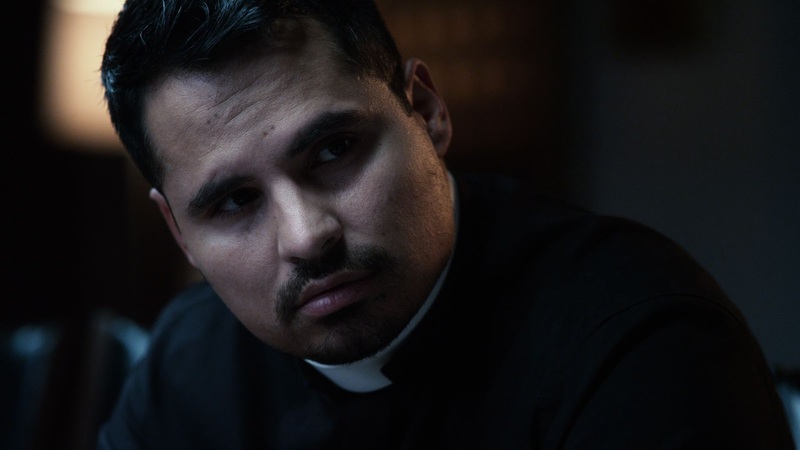 Michael Peña, who recently rose to worldwide attention after starring as the motor-mouthed best friend of Marvel’s superhero Ant-Man (Paul Rudd) stars anew in the upcoming thriller movie “The Vatican Tapes” as an ex-military soldier turned priest. In “The Vatican Tapes,” a young woman named Angela begins as a normal, healthy girl, but as the story progresses, she spirals into a possessed and demonic state that had her family turn to church for exorcism. Taking on the difficult task to drive away the evil that possessed Angela is Father Lozano (Peῆa) who becomes deeply involved in Angela’s condition, and ultimately the battle of good versus evil. Peña was initially drawn to the film by the uniqueness of the script as well as his relationship with producers, Tom Rosenberg and Gary Lucchesi. The story of The Vatican Tapes is primarily set in modern day Los Angeles with the exception of a few scenes that take place in and around the Vatican. The filmmakers took advantage of shooting in Los Angeles for a story actually set in L.A., while utilizing clever locations, a discrete traveling film unit in Rome, as well as VFX to create the scenes at Vatican City. “The Vatican Tapes” will soon open this August 19 in cinemas from Pioneer Films.